Aidan competed in the Special Olympics last week. It’s such a triumphant and emotional event. Every year he does something new that amazes me. 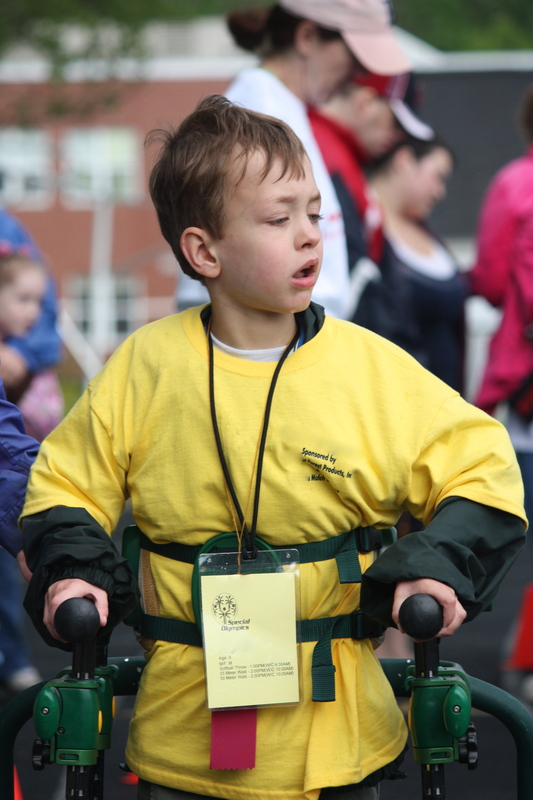 This year, after competing in the 50 meter walk, he just kept right on walking. Aidan was unstoppable. I think he loved the idea that he could make himself go places. In the 10 meter race he mostly looked around and soaked in the praise. It was quite hilarious as I could almost hear him saying, “Who, me? You’re all here for me? You think I’m quite fabulous, don’t you?” And he was! What I love most about the Special Olympics is that it’s an entire event focused on celebrating victories that may otherwise go unnoticed: holding a ball with two hands, smiling while being pushed in a wheelchair, putting one foot in front of the other. Since no celebration is complete without something sweet, on we went to our favorite cafe with me proudly wearing Aidan’s ribbons, because it was my victory as well. What small victory do you need to stop and celebrate?